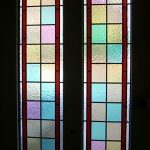 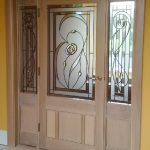 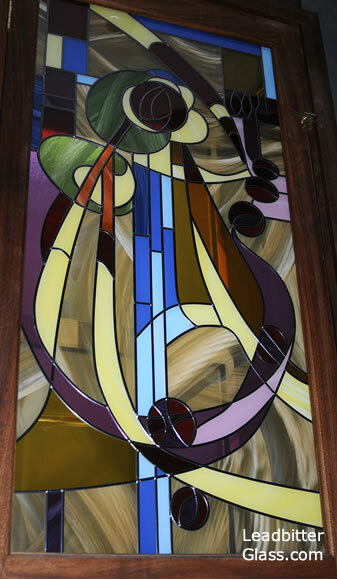 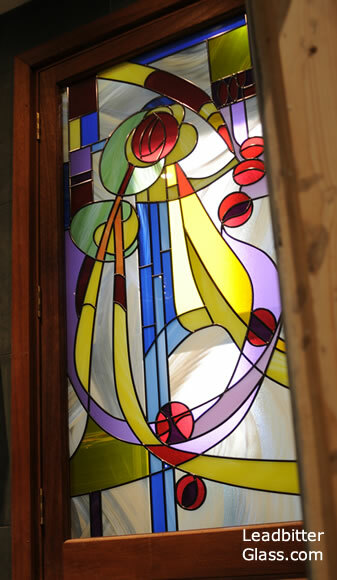 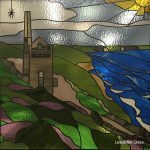 In 2012 we manufactured this Rennie Mackintosh door glass for a client in Barnard Castle near Darlington. 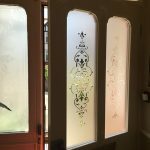 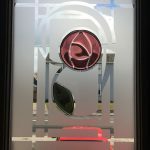 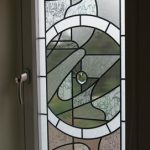 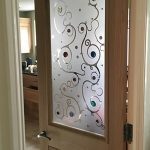 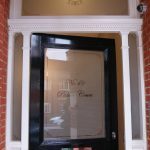 The client had spotted a photo of a previous job we had created but required a slightly different design as the glass size was larger than the original piece. 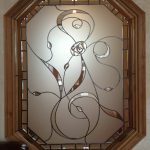 The design is based on our Gallery image 601 and we have created many similar panels featuring similar layouts over recent years. 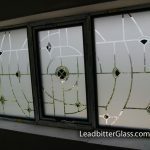 Many thanks – the glass arrived on schedule and I have installed it without mishap this evening. 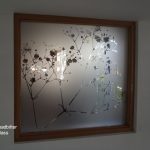 It looks fantastic – I will send you a photo once I have put the finishing touches to the room (bathroom) that it is in – that may take a few weeks though as I am working away and then on holiday.